Claiming Your Employee Business Expenses | TaxConnections is a where to find leading tax experts and tax resources worldwide. • Incurred for carrying on your trade or business as an employee. An expense is ordinary if it is common and accepted in your trade, business, or profession. An expense is necessary if it is appropriate and helpful to your business. 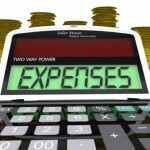 The following expenses can be claimed as employee business expenses, as long as all the laid down conditions are met. We will expound in detail on each category of employee business expense, in subsequent articles. The primary objective of this article is to empower taxpayers to learn to do their own taxes. For detailed information on how to deduct your employee business expenses, grab yourself a copy of “Doing Your Own Taxes is as Easy as 1, 2, 3” on TaxConnections.com.